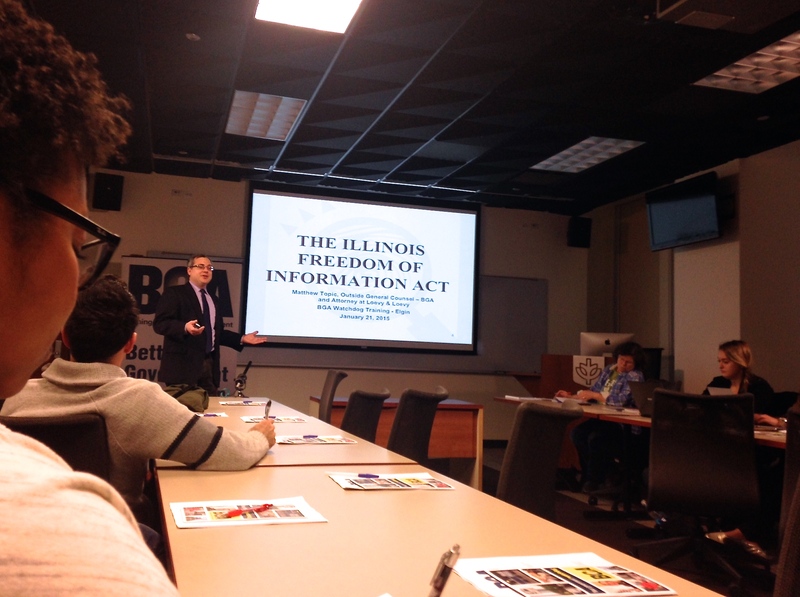 DePaul students and members of the Chicago community joined us and the Better Government Association (BGA) last Wednesday to learn about the Freedom of Information Act (FOIA) and how to use it for reporting. Attorney Matt Topic explained what the FOIA covers, what it doesn’t, and how to file a request with government agencies. He also shared steps for appealing a denied request.